A Southwest Airlines pilot was suspended without pay after his cockpit microphone became stuck open and an obscenity-laced rant about the physical attributes of flight attendants was broadcast across the entire Texas airspace. Houston TV station KPRC obtained a recording of the audio in which the pilot bashed gays, women, "grannies" and overweight people. The conversation took place at about 7:30 a.m. CT on March 25 and was broadcast over the Houston air traffic control radio frequency, blocking communication between air traffic controllers and other pilots for more than two minutes. On a flight from Austin to San Diego, the pilot first complained about flight attendants he worked with in Chicago. "There's 12 flight attendants, individual, never the same flight attendant twice. Eleven (expletive) over the top (expletive), (expletive) homosexuals and a granny," the pilot said. "Eleven. I mean, think of the odds of that. I thought I was in Chicago, which was party-land." "After that, it was just a continuous stream of gays and grannies and grandes…"
The co-pilot's response was inaudible, but the pilot reacted saying, ""Well I don't give a (expletive). I hate 100 percent of their (expletive)." He then turned to bashing Houston flight attendants. "Now I'm back in Houston, which is easily one of the ugliest bases. I mean it's all these (expletive) old dudes and grannies and there's like maybe a handful of cute chicks," he said. The air traffic controller in Houston unsuccessfully attempted to interrupt the trash-talking and tried to cover the pilot's words with beeps. "OK, whoever is, uh, transmitting, better watch what you're saying," the controller said. Air traffic controllers submitted the tape to FAA officials the same day. The FAA then turned the recording over to Southwest Airlines after deducing that the pilot was from a Southwest flight. "The incident occurred during a phase of flight in which personal conversations are permitted in the cockpit. Nevertheless, the FAA expects a higher level of professionalism from flight crews, regardless of the circumstances," the FAA said in a statement. 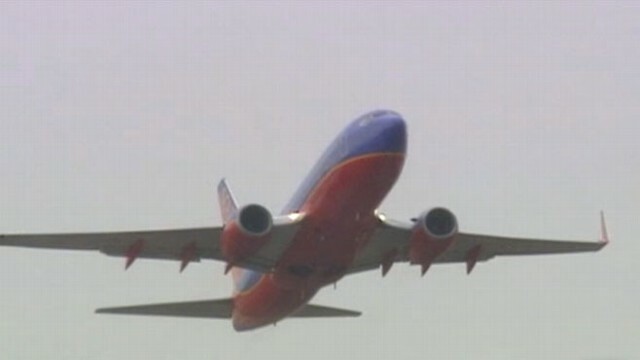 Southwest would not release the name of the pilot, "since it is a personnel issue." He has since returned to work. In a video statement released today, Southwest Airlines's Vice President Flight Operations Captain Chuck Magill said he was "deeply sadden[ed]" by the pilot's "inexcusable language." Magill apologized on behalf of the pilot to Southwest employees, customers and other pilots in the industry. Magill said the pilot has formally apologized to FAA controllers. "What he said is offensive and inconsistent with the professional behavior and overall respect we require from all employees. He knows what he did cannot happen again," Magill said in the one minute video. The general consensus among airline workers is that this was an isolated incident and will not spark changes to the airline industry training standards said Brian Wozniak, the general Chairman for the International Association of Machinists District 142 which represents flight attendants at Continental Airlines. "I've talked to a lot of our crews today. They are a little outraged at the individual maybe, but not at the system itself," he said. Wozniak said in the 35 years he has spent in the industry he cannot recall "anything even remotely that derogatory."